Leaving behind a strife-filled country I recently travelled to Lisbon, Portugal. 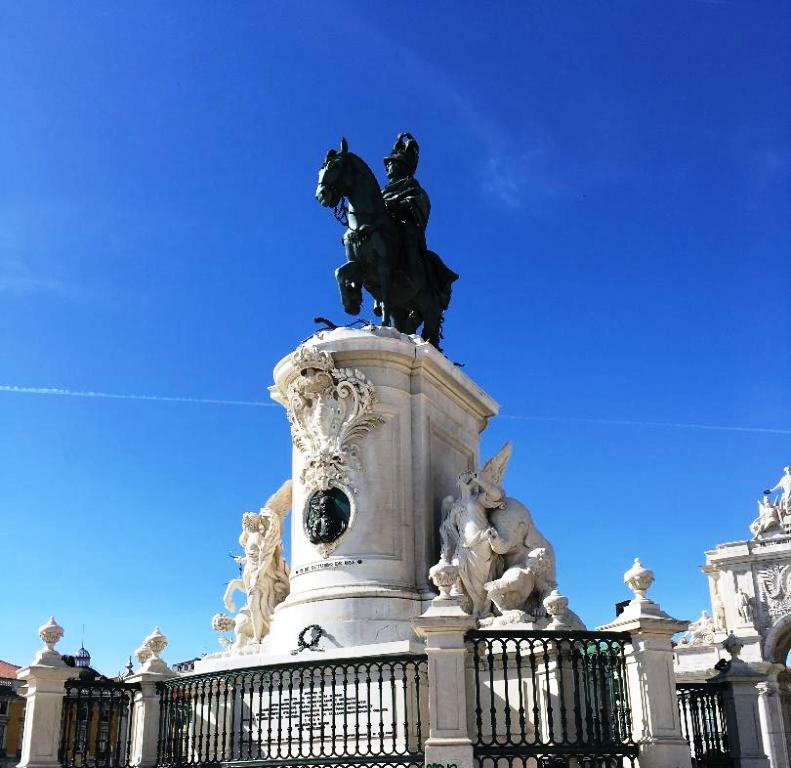 While civil unrest transpired on one half of the Iberian Peninsula in Spain, Portugal contrarily, remained a peaceful oasis where tourists flock to enjoy a warm, welcoming culture, sunny skies and healthy fare. Our flat in the historical section of Lisbon not only provided a breathtaking view of the city the location of our accommodations provided a week of strenuous, yet healthy exercise ascending and descending the cobblestone streets to and from the city’s hub, daily. Day one of our trip began at Lisbon’s water front. We sat soaking in sunshine, making plans for the week. 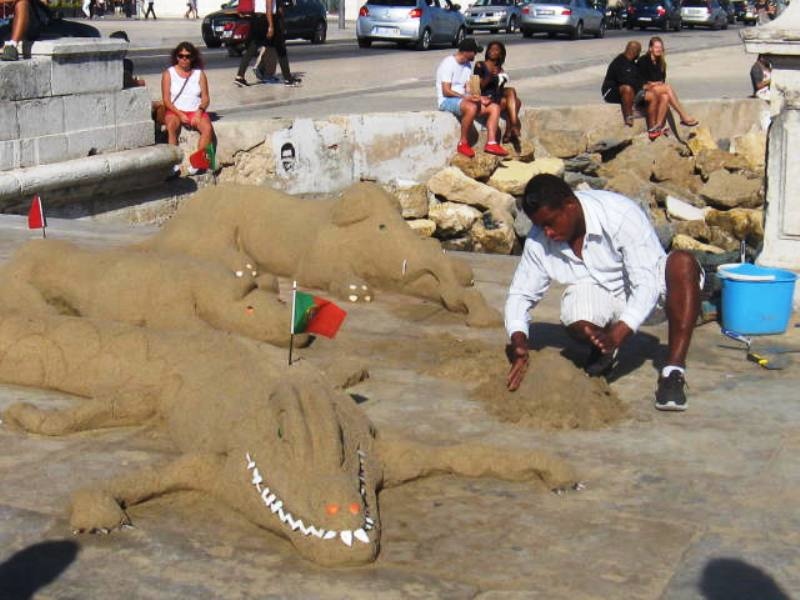 A relaxing walk along the River Tejo provided a panoramic view of the City, an opportunity to watch locals creating sand sculptures and we found ourselves smack dab in front of Mercado da Ribeira (or ‘Market near the River’). Mercado da Ribeira is a famous waterfront gathering spot in Lisbon. Initially founded in 1892 it is both a traditional market and open food court. It offers a plethora of diverse cuisine including many types of fish dishes prepared by local Master Chefs, fresh Butcher Shops and an abundance of pastry and dessert shops. One can dine at the Market’s finer restaurants or choose to create a meal via individual food stands and then mingle for table top discussion in a large inner-circle type food court. The open food court offers a chance to meet other travellers, engage in friendly conversation and share tourist tips regarding local attractions. Day two we set out by ferry to visit Cristo Rei, the statute of Christ. 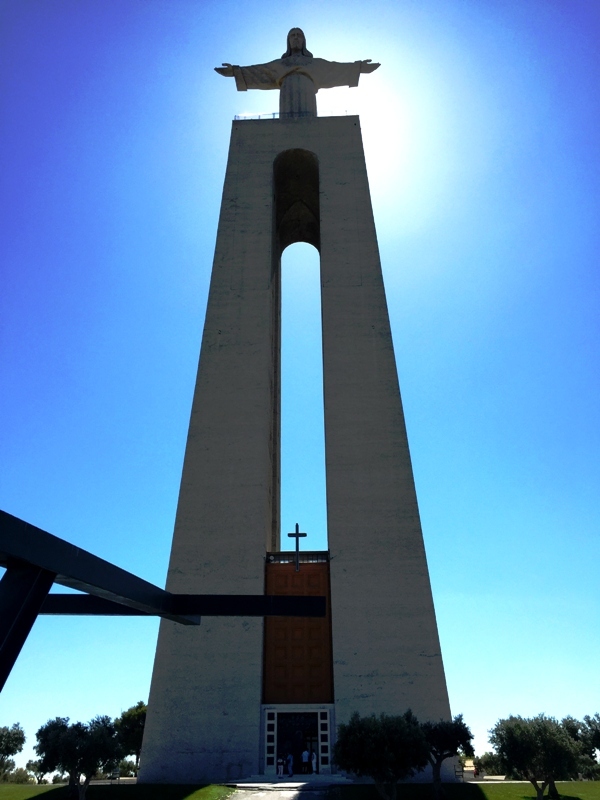 Standing magnificently above the southern banks of the Tejo Estuary this iconic monument, with arms outstretched, picturesquely depicts a peaceful blessing over the City of Lisbon. Built in the 1950’s the statute is a small scale replica of Christ the Redeemer Statute in Rio de Janeiro. The grounds at the foot of the monument contain abundant religious gardens. The breathtaking view of the city from atop the monument provides a sweeping view of Lisbon and its’ surrounding area. Speeding upward towards the statute through winding hills in a local tour bus gives one a nostalgic feeling of what it would be like to travel to the Holy City. Day three amidst warm Atlantic breezes we took in the history of Belem. “Belem”, derived from the Portuguese word for “Bethlehem” is yet another befitting paradigm describing the feeling of serenity innate to Lisbon. 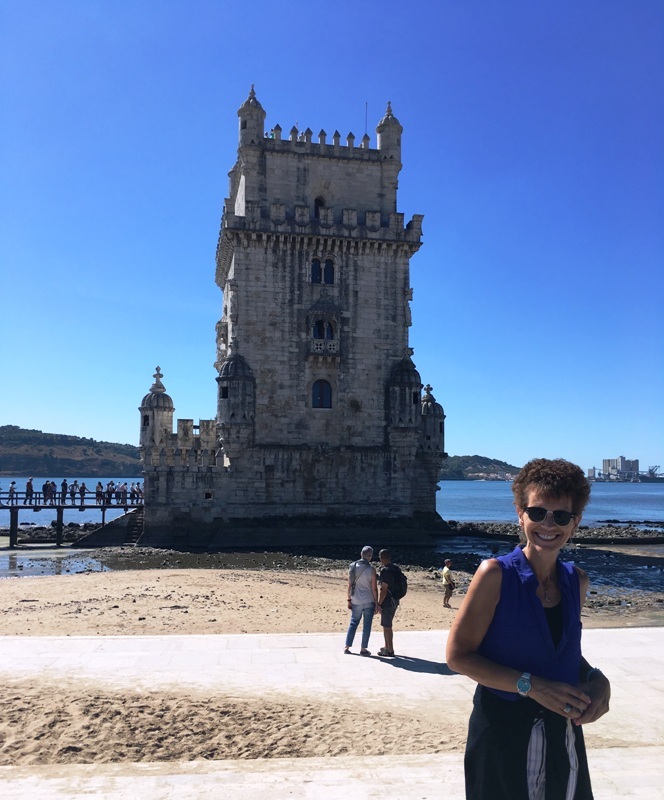 If you love castles and the seaside as I do Belem Tower is certainly a landmark you mustn’t miss. With a warm, dazzling sun overhead I couldn’t help but enjoy sticking my toes in the water and shell hunting while taking in this beauty. Built in the early 16th Century Belem Tower was a Bastion commissioned by King John II and designed to act as an additional defence system to the mouth of the Tagus River. We then went on to peruse the Padrao dos Descobrimentos Monument a/k/a the “Discoveries Monument”. 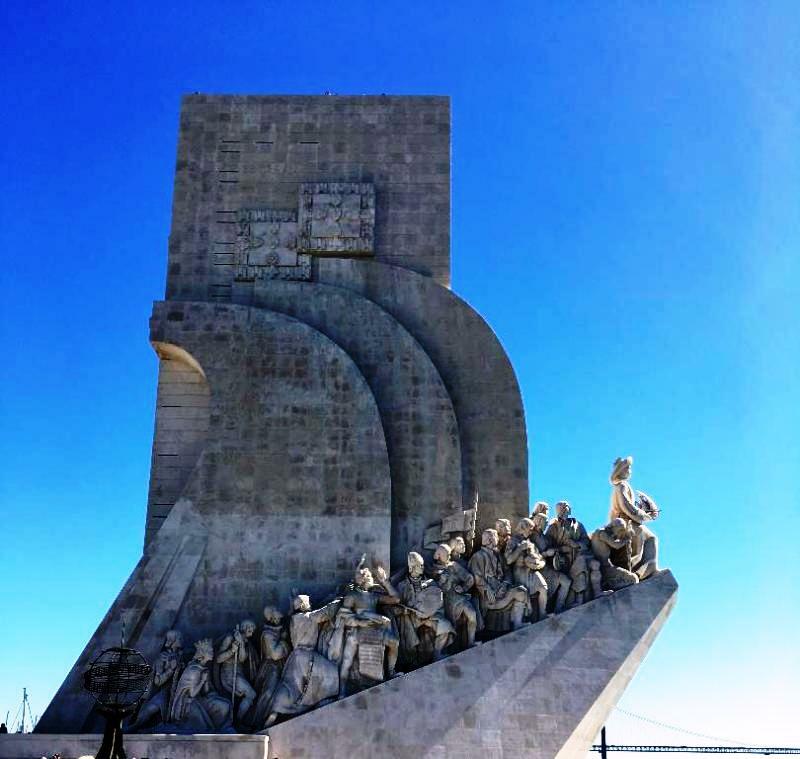 The monument, although not built until the 1960’s memorializes many of Portuguese’s prominent historical figures including navigators responsible for global exploration which led to the ultimate discovery of the Atlantic, Pacific and Indian Oceans. Though a recent build the Discoveries Monument is unique in that its modern design adequately encapsulates an era that has long gone by. Abundant in history Lisbon offers a plethora of transportation modes such as its’ famous vintage yellow Tram 28 which criss-crosses the city maneuvering you through its’ narrow streets to famous hidden sites yet it also offers travel by bus, ferry, train and if you are up for a fitness challenge bicycles which are a favorite transportation mode to explore the coastal path beyond the City of Cascais. Of course, comparable to modern society the City also offers Uber which is highly suggested should you wish to visit any of the interior landmarks within the City as the roads are extremely narrow. We travelled by train to the seaside City of Cascais. A quiet ocean front town with a beautiful beach whose hardy fishing harbor bolsters a bounty of local fishermen’s’ wares. 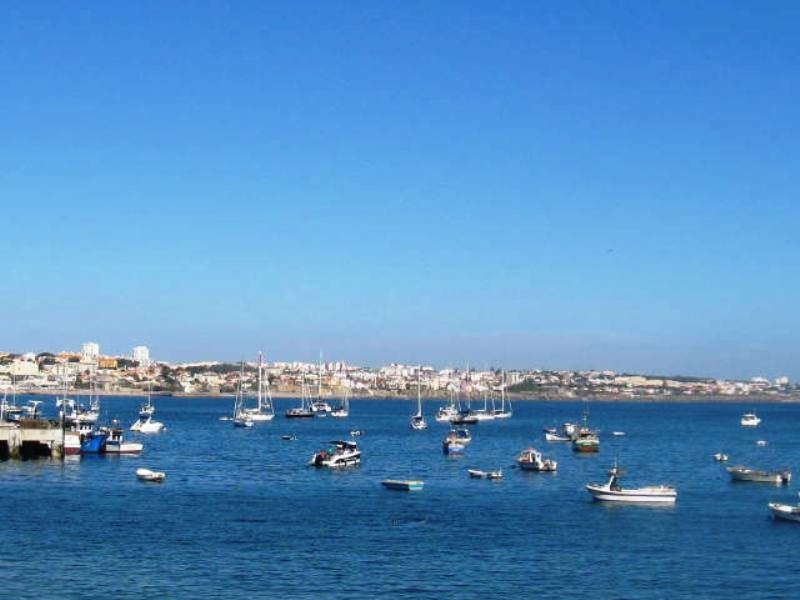 Should you decide to dine in Cascais you can be assured the catch is fresh daily. I set out to tour a local city park which held its own joyful surprises. I spent a leisurely hour touring the park enjoying a bounty of both abstract and traditional statues, bursting water fountains and a diverse population of birds splashing amongst tiny pools. Leaving the park I meandered up the hill to stumble upon a cove of Artist residencies where I had an opportunity to engage with local artists, discuss their projects and enjoy the craftsmanship of talented Artisans. Hidden inside the gates of the Villa I enjoyed visiting a quaint bookstore which housed a wealth of collectible reads. We also visited São Jorge Castle situated on a hilltop overlooking the historic centre of Lisbon and the Tagus River. The original architecture is Moorish dating back to the Middle Ages. Like most historical castles, São Jorge Castle has a fascinating history including the notion the hill it rests upon dates back to as early as 2nd century BC. The castle has been home to many cultures and diverse faiths throughout world history. The hilltop was first utilized by the Celtic Tribes. The castle holding its own wealth in history experienced Moorish rule until 1147 when Lisbon was freed by Afonso Henriques and the northern European Knights during the Second Crusade. It then became the residence of the Governor Afonso III, was renovated by King Denis I and finally dedicated to Saint George by King John I. Its history is primarily as a battlement and finally somewhere between 1373 and 1375 King Ferdinand I ordered a walled compound be built enclosing the castle in its entirety. With such an extensive history the Castle’s architecture was fascinating and interesting to view with cannons perched at the top of the hill and a maze of stairs to climb which surrounded both the interior and anterior of the structure. On our last evening in Lisbon we travelled via Uber to dine at Via Graca. Via Graca sits on a hillside in a quiet neighborhood, across from São Jorge Castle and provides a stunning panoramic view of the castle and the River Tagus. Of course a dining experience filled with delightful ambiance should you be seeking a romantic atmosphere Via Graca is indeed, your “cup of tea”. By moonlight the view of São Jorge Castle illuminated in soft yellow lighting along with the lunar shimmer on the River Tagus makes for a romantic experience you certainly cannot forget. Via Graca offers a traditional Portuguese menu cooked to perfection and its’ dessert selections are equally impeccable. If you are seeking a less extravagant adventure and staying in historical Lisbon I would highly recommend Pão de Canela, a quaint cafe offering an extensive menu of breakfast, lunch and dinner options all at a reasonable price in a friendly atmosphere, situated in a tiny neighborhood park. Though equipped with two porches and seating inside the cafe often reaches full capacity. Thus, you may have a tiny wait but I assure you it will be worthwhile. The staff, all extremely friendly, goes the extra mile to ensure guests are both comfortable and pleased with their meal. 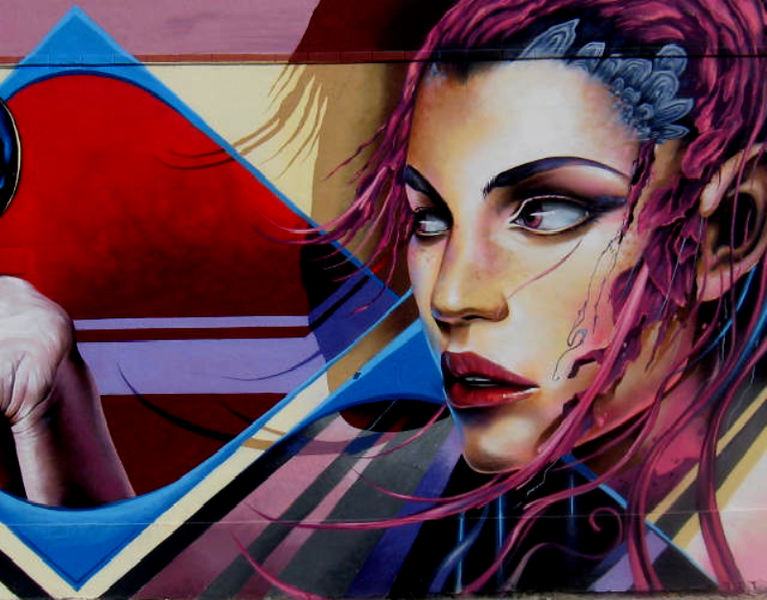 Hospitality is Lisbon’s forte not to mention its’ culture seems very peaceful. I thoroughly enjoyed my stay in Lisbon. I felt welcomed, appreciated and in awe of the historical landmarks and authenticity of the City. Should you be longing for a tranquil vacation with sunny skies and a step back in time I would definitely recommend travelling to Lisbon. “I’ve got two places I like to be. 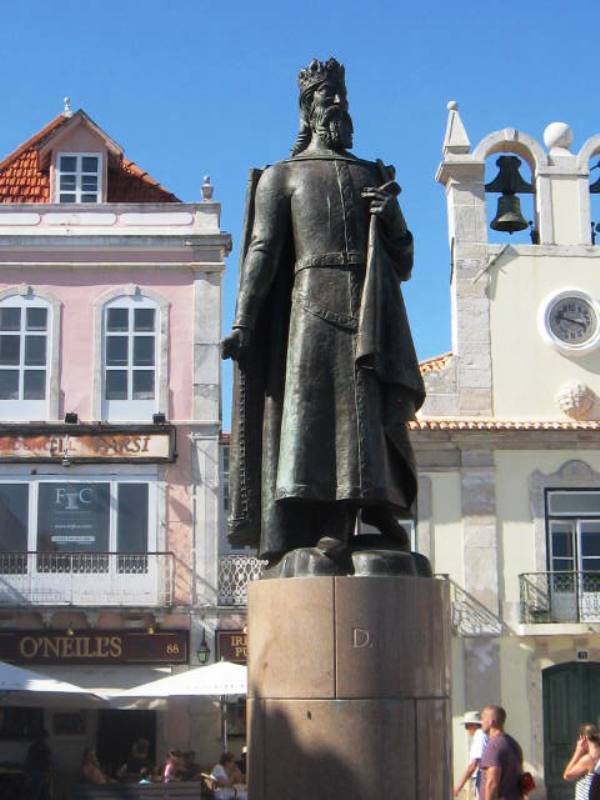 Portugal is one.” – Cliff Richards. Sounds like a great destination for an interesting relaxing vacation.Well written.I could almost feel the sunshine on my face and the caress of the soothing sea breezes .